The hundred or so customers who were lucky enough to score a OnePlus One will have to wait a bit longer for the phone to arrive, due to a necessary major software update. If you've been lusting after the near-unobtainable, CynogenMod-powered OnePlus One , the bad news is that you'll have to wait a little longer. 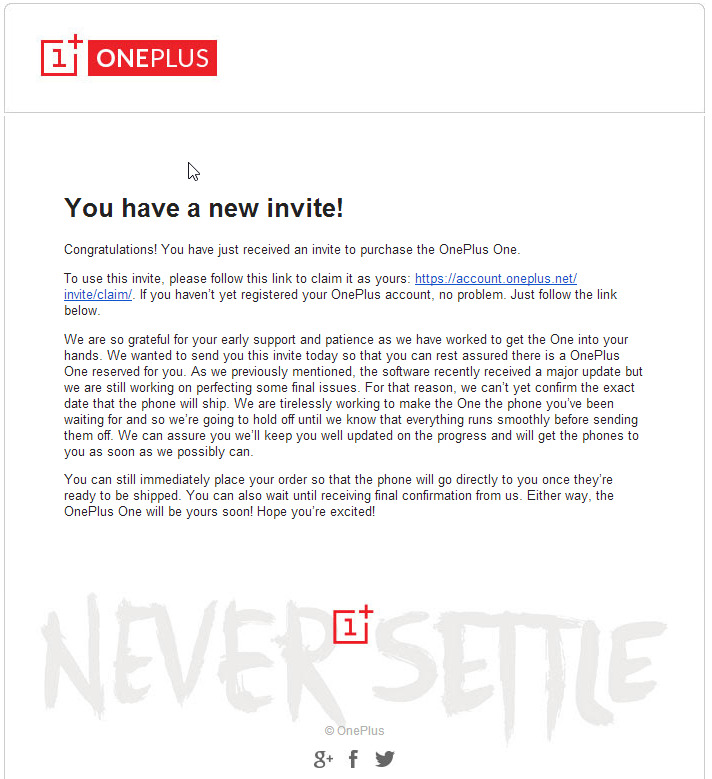 Lucky OnePlus One invitees recently received an email that said that there would be a delay in shipping the initial batch of smartphones, due to a major software update and that the company was "still working on perfecting some final issues." As such, the company is unable to confirm just when the phone will now ship. The CynogenMod head moderator posted on Reddit to say that the software issues were due to recent openSSL vulnerabilities and that CyanogenMod developers wanted to include the fixes for the factory release of the phone. "A new release means the whole firmware needs to be re-certified (including QA time), but we believe the security benefits outweigh the delay. So yes, there was a new build issued at fairly last minute, but it wasn't due to missing set deadlines or expectations," said Ciwrl. The OnePlus One is a brand new "flagship-killer" from China. It packs top of the line specs including LTE, a quad-core processor, a large 5.5-inch display and a 13-megapixel camera. The phone was originally set to be available for everyone to purchase in June, and we're checking with OnePlus to see if this delay will also affect the general availability. We will update as more information comes to hand.